I just voted no, which feels really silly, considering. And given how hardheaded (we believe) Tiger is, it might not matter. But it does feel that LaCava is quite passive. Of course we don't know what's going on in the quiet conversations, and it really isn't our business. It does seem that Sunday Tiger was really playing smart once the tournament was in his grasp. Did Joey contribute to that? I don't have any idea. Perhaps Tiger has become even more of a thinker than he was previously, which could be a bad thing for everyone else. I have no doubt that he could have played 18 more aggressively, but he knew before his second shot that 5 was good enough, and he made darn sure that 6 was not in the cards. Concluding, though, Tiger 2019 knows more about his game than anyone else on the planet. He knows what he can do, and it seems he actually knows what he can't do. He seems to actually be able to play within those limitations. And, really, who knows more about playing championship golf than Tiger? Perhaps all he needs is someone to carry his clubs, snacks, and gum? Why Are There Three Lines On Mickelson's Golf Ball? I would think so, as well. It might work with a "+" sign type thing, line one up to the target, the other would be perpendicular. What do I know? I usually don't even mark my ball. I heard someone (but I don't recall who) say that for some people lines on the ball are useful, for some not. Perhaps a left brain/right brain sort of thing? 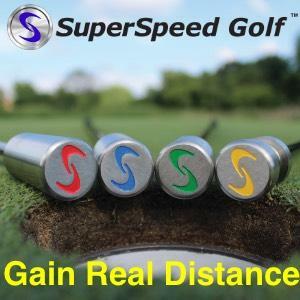 I have also heard the suggestion that one should place the ball with the line perpendicular to the target line, making it easier to actually align the putter with the ball. I do imagine that if one was trying to align the ball, the three lines would make the process more accurate. But I think it would drive me crazy. The big question is whether the second shot with the provisional was played from a point closer to the hole than the original was likely to be. The actual location of the original ball is not important in making that determination. From the wording of the original post, I am not certain that this requirement was met. Only the original poster can really answer that question. Rules of Golf in layman's terms. 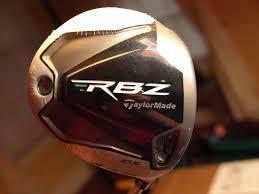 Well, when you hit an iron from the fairway, the face is pointed up, even with a slightly downward angle of attack. My understanding, which may be flawed, is that the lower the swing speed, the more spin has to do with getting height, and hence distance. The big bashers don't need as much spin as mere mortals. Their number lead to the low spin craze a few years back. But mere mortals couldn't hit the low spin drivers straight, or far. For every swing, and atmospheric condition, there is an optimum set of conditions. We just hope to get close to them now and then. Well, even when it's humid here it isn't very humid, compared to many other places. But, usually, as our humidity goes up our temperature goes down, a little. But the scientific fact is that humid air is less dense. I am wondering if in the less dense air spin has slightly less influence, and, especially at human swing speeds, decreases the extra lift that spin can provide. I imagine that the optimum spin and launch angle may be slightly different based on temperature and humidity (and of course, swing speed). “Legitimate” mulligan via stroke and distance? The player can choose to call his ball unplayable in any circumstance. He is the only judge of this. In the case you mention here he was taking one of the water hazard options, rather than an unplayable lie. One could decide his ball sitting right next to the hole is unplayable, and go back to where he hit previously, at the cost a stroke. Of course, he could be rightfully called a sandbagger, at that point! Should divots be considered ground under repair? And there is the problem. If a divot hole is ground under repair, we might as well play lift clean and place, because someone could claim almost anywhere was a former divot hole. Did Jordan Spieth Improve his Lie on 18 in Round 1? From my viewing of it, it looked liked he never even let the full weight of the club reach the ground. The up and down motion, what little there was, actually seemed to be keeping weight off the ground. addressed the ball, then stepped back, and come back in I would be much more suspicious. I didn't see anything that looked like more than addressing the ball. So I voted no. I could buy inconclusive, since with angles and foreshortening almost any video view is inconclusive! Does Sports (Golf) Teach Life Lessons? I voted yes. I don't think it even has to be "competitive" sport. I am a hacker. I play golf for fun. To get out in the sunshine. To spend an afternoon with one of my sons (the one who decided to like it). To try to get better. Last spring I had a bad result from my colonoscopy, and I've spent the last year and a half doing fun things like radiation, surgery (three times, though once was because my gall bladder decided it wanted gangrene), and chemo. With some periods to recover for the next wave. All through it I played golf when I could, not well, sometimes with an ostomy bag, but I kept playing. And it reminded me about the things that are important, and the things that are not. It doesn't matter if I shoot 110 or 90. Though I much prefer 90, and actually shot my best round ever between radiation and surgery, an 87. But I grew to appreciate even more the chance we have to play. Even on the bad days, it is nice to be on the green side of the grass. I've decided I want to challenge myself to improve, after years of pretty much being stagnant. Though I haven't been posting, I am up to nine days in a row of practicing at least five minutes. I've taken three lessons in the past month, and I am working on implementing changes. I see a difference, though I haven't seen the breakthrough in score I am looking for, yet. But, maybe tomorrow! I don't believe anyone ever said, or even implied that sports is the only way to lean life lessons, or the best way. But it is certainly one way. I'm content with the restrictions. I would not object to rolling back a bit, but that isn't really viable. 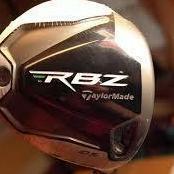 As far as getting new clubs, I was wondering if the improvements that players attribute to new clubs might be more attributable to better fitting, or perhaps better said, better fitting to their game as it evolves over time. Clubs that were good for someone five years ago might not be a great match now, So a new set that fits might seem to be a great improvement, but was it the new heads, or the new fit? I voted no. He sure proved how hard it is, even on some "this close" to perfect shots. It looked like he had one in on the fly, and some of the misses were, so, so close! It takes skill to come close that many times, but I think there's a bit of luck in closing the deal.